Just to share with you, my readers on the status of our request for a second-link road linking Taman Tunku, Taman Jelita, Holiday Park, Luak Residences with the Miri-Bintulu Highway and Airport Road. We hope MIDCOM can look into this proposal seriously. Although we have received a call from JKR Miri, it doesn’t mean this issue is closed. JKR Miri is aware of this traffic congestion issue and should send their proposal to MIDCOM even before the public lodge a complaint. This should be the proactive step and measure taken by government agencies in addressing public matters. Do the agencies need the public to complaint before acting on it despite them knowing it better on the ground? EASTERNPOINTS LOGISTIC (M) SDN. BHD. below has been attended to satisfactorily by the said agency. unsatisfactory else we may close this case. Thank you for contacting TALIKHIDMAT (Public Service hotline). Your one stop channel to reach Sarawak State Government. And here is an update from YB Andy Chia, the ADUN for N.64 Pujut. 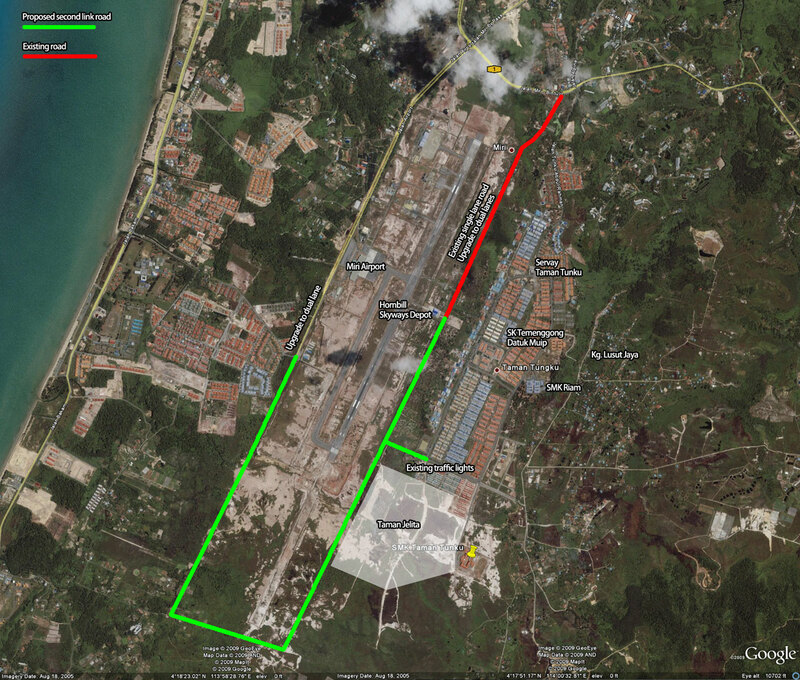 I have info that there will be a proposed new road that links the back of Taman Tunku to the Luak Bay highway eventually….that will give the people of Tmn Tunku an alterantive access. Hopefully it can be done within the next 2 years. Well, YB.. we hope the road becomes a reality because we really need it there. Previous Previous post: Food I like!